Wangaratta is one of only a handful to host an Australian Digital Inclusion Alliance (ADIA) Meetup in partnership with Broadband for the Bush Forum VII in Wangaratta Thursday 7 June 2018. While we wish we could all be in Darwin for the Forum, the next best location is to meet up with others keen to become digital inclusion influencers. 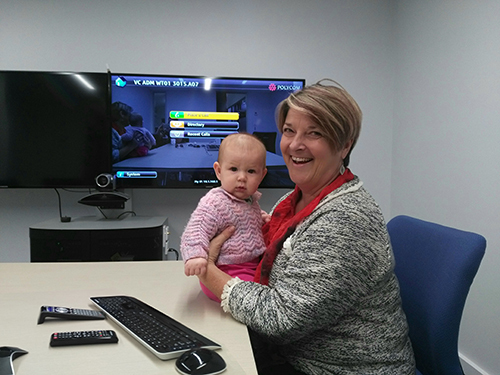 Wangaratta will be one of only a handful of hosts to offer a local meetup opportunity to join in online and network locally for practical strategies and tips to inspire action on digital inclusion. Join us online or in person for our upcoming ADIA panel discussion on Influencing to accelerate action on digital inclusion – what, why and how in partnership with the Broadband for the Bush Forum VII. This important discussion will be streamed at Australian Digital Inclusion (ADIA) national networking meetups taking place across the country on Thursday 7 June, 2.50pm – 4.50pm AEST (Sydney, Melbourne, Canberra time). Find out about the work of the Alliance and hear a facilitated discussion focussed on influencing people to accelerate action on digital inclusion- what, why and how? There will be an opportunity to send questions for an audience Q&A session during the panel, whether you will be attending a meetup in person or joining in online. Get to know other people in the digital inclusion arena and provide your input into what you think your Alliance should be working toward. Register online via Eventbrite to join other ADIA participants and come along to see the live-streamed panel and network locally (free) at the Wangaratta meetup.